Its been a very busy month. Between planing a long distance move and finishing up a couple ambitious projects, I haven't found the time to post an important update about the latest exhibit I took part in. The opening was on November 17th. 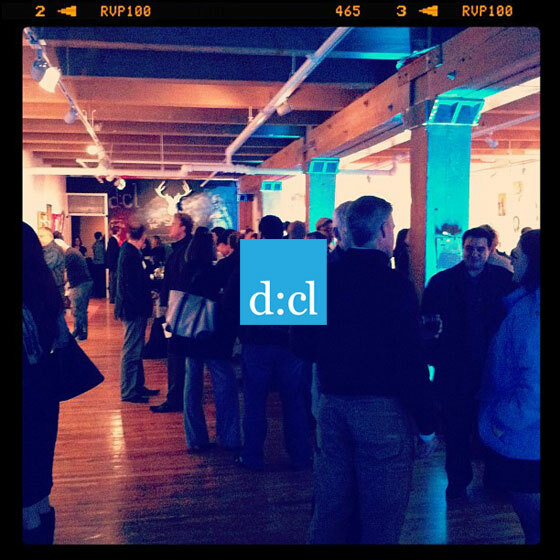 It was actually the grand opening event for Design Cloud in Chicago. It was a great party with live art and great energy. The show will be up till January 7,2012 so if you're in the Chicago area its worth a look! I have a brand new mosaic sculpture on display (collaboration with designer/artist Kyle Cunniff). In addition I have two 2D mosaics along with three charcoal drawing in the show. Thanks Jennifer! It was a great opening!